There's no better feeling than knowing that your loved ones are happy and safe. The staff members of our residential living assistance program are dedicated to fostering an environment where adults with developmental disabilities feel secure, fulfilled, and loved. At Murchison Residential Corp, your family is a part of our family. Murchison Residential Corp is a nonprofit assisted living facility located in Holly Springs, North Carolina. Our team of warmhearted and experienced individuals is passionate about providing residential living assistance and disability assistance for developmentally disabled adults. We're proud to be a professional provider of Community Alternatives Program (CAP) services. Additionally, we remain committed to endorsing and partnering with other CAP providers. Everyone at Murchison Residential Corp is dedicated to the work we do. Working with families allows us to participate in and give back to our community in beneficial ways. Our staff members have more than 25 years of experience. Since the beginning, we've believed in creating a community environment where every resident feels comfortable, safe, healthy, and happy. Many of our clients have been a part of our residential family for more than 15 years. 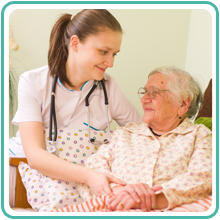 Contact us today if your loved one is in need of residential living assistance. We are always here to help find a well-suited CAP provider for the people you care about.